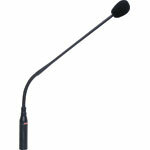 This product has been viewed 488 times. 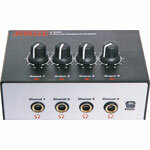 A compact headphone amplifier featuring four individual channels with volume controls. 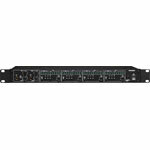 Ideally suited to monitoring in band and stage environments, it can also be used in educational situations such as language labs. 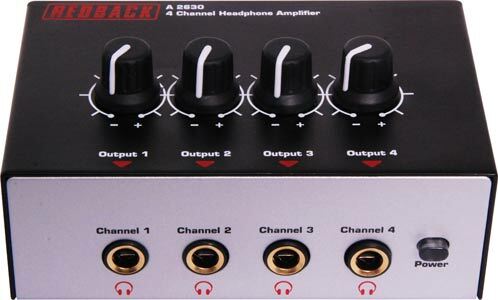 Amplification and individual volume controls are provided for up to 4 headsets, driven by either line level or headphone amplifier signals (mono or stereo). 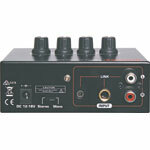 Stereo RCA, 3.5mm and 6.35mm jack inputs provided. 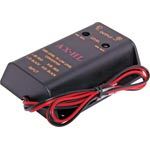 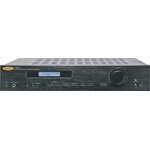 Powered by 12-18V dc (includes power supply).